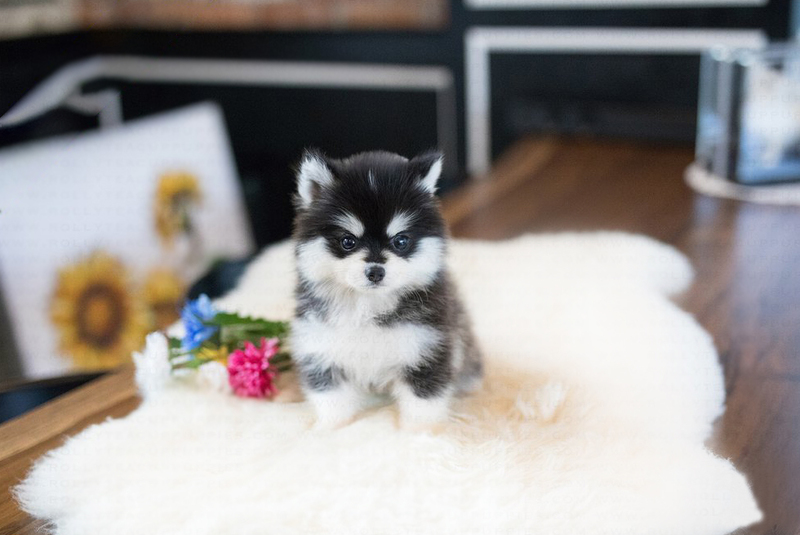 Audi with the bluest eyes is the most precious little baby you will ever meet, and has the sweetest little disposition and loves to be cuddled, and will demand all of your attention! 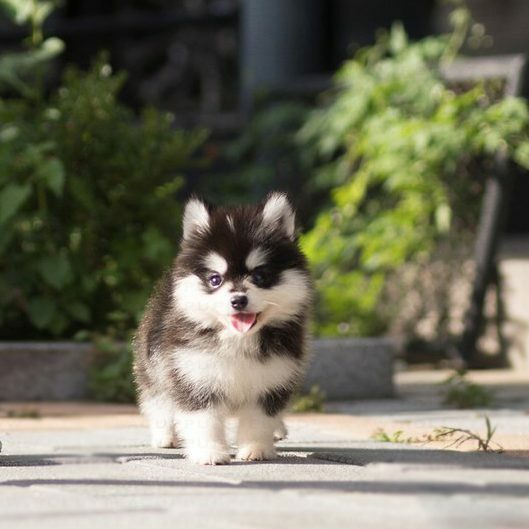 Audi certainly has a joyous zest for life. 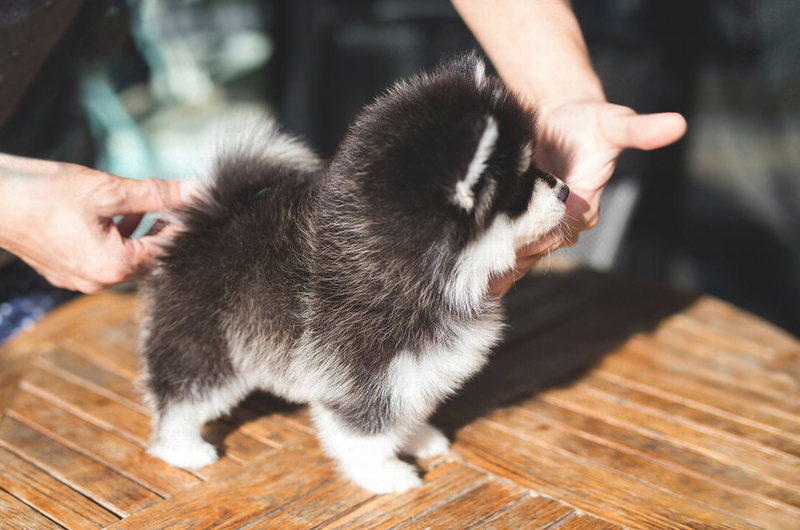 No more than 6 lbs at adult weight! 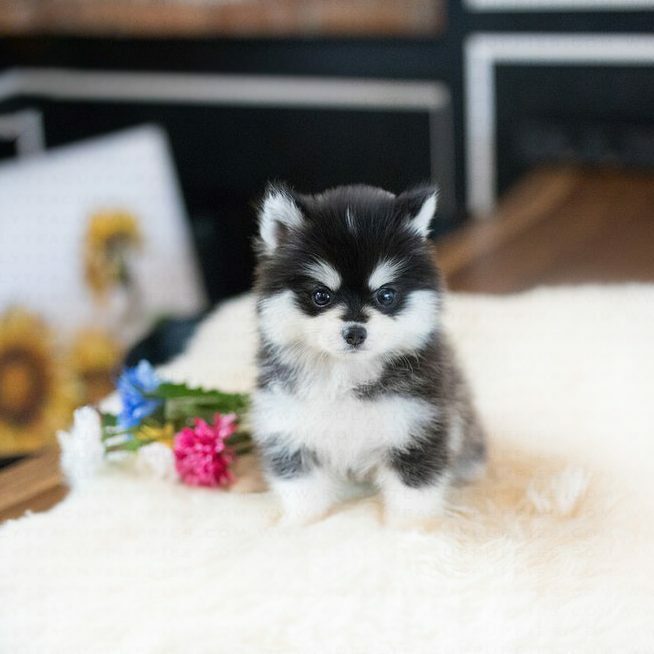 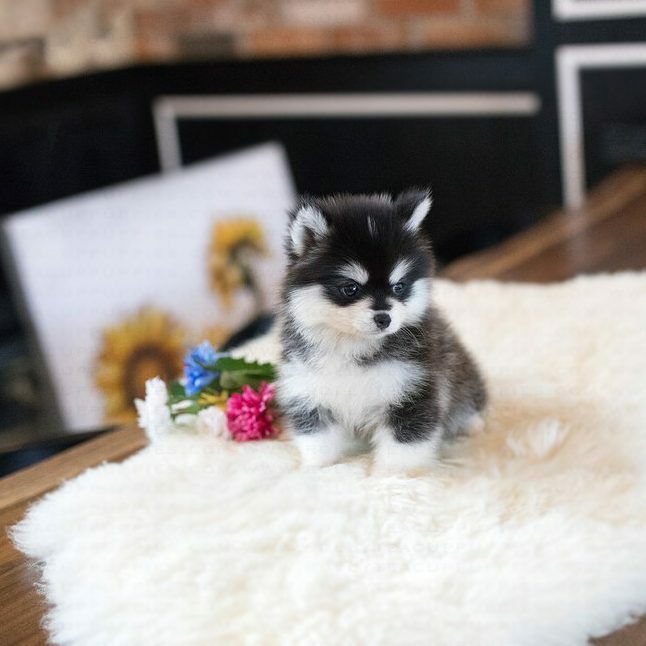 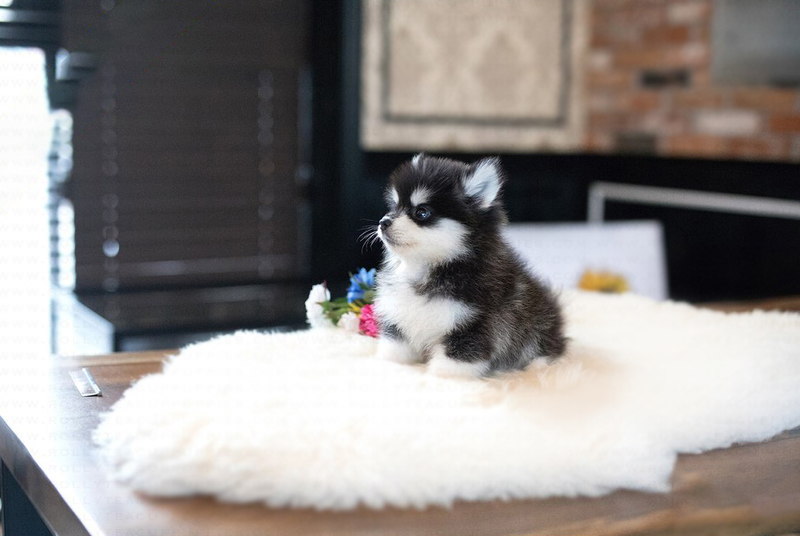 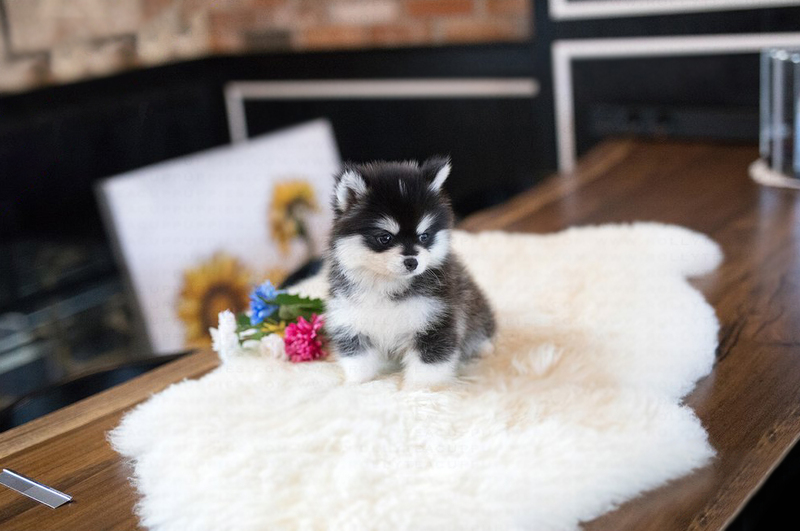 Pomsky’s are our newest breed and high demand and ultra rare at any size but our babies are the tiniest in the world.